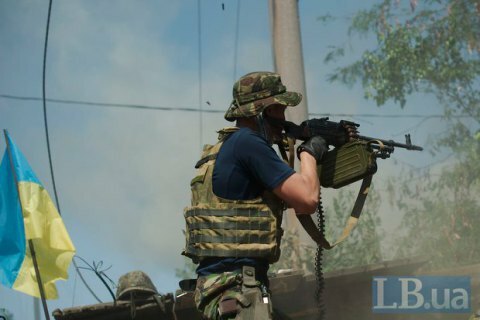 The positions of Ukrainian forces in the Anti-Terrorist Operation (ATO) zone in Donbass saw 58 instances of small-arms attacks and shelling, the ATO press center said on 25 July. In Mariupol area, terrorists used 120mm and 82mm mortars to shell Vodiane. Ukrainian servicemen in Krasnohorivka came under heavy machine guns fire. In the Donetsk sector, the tensest situation was observed in Avdiyivka, where Russian-backed militants used 120mm and 82mm mortars, grenade launchers of various systems, heavy machine guns and small arms. The enemy also used 82mm mortars to fire at Ukrainian strongholds near Opytne and Butivka coal mine. Six Ukrainian soldiers we killed and another 13 were injured on Saturday in a combat zone in Donbas. Eight servicemen were shell-shocked.